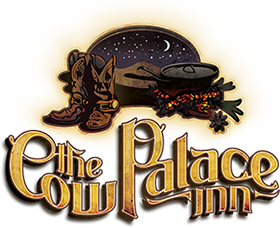 We have written reviews before about the Cow Palace. We stayed in this place when the previous owner had let it go to shambles. But since the new owner, this place just keeps getting better and better. The difference from about 6 – 7 years ago till now is remarkable. My family and I stay here about every 6 months or so and we are so happy to stay here. The hotel just keeps getting better. The kids get excited to see what has changed from our previous visit. It is a fun place. The staff is very friendly. The free breakfast is actually cooked to order from a breakfast menu that you pick the items. Wonderful pancakes, bacon, hash browns, oatmeal, etc… all of it is good. The owner actually cares what kind of experience you have. We will return.